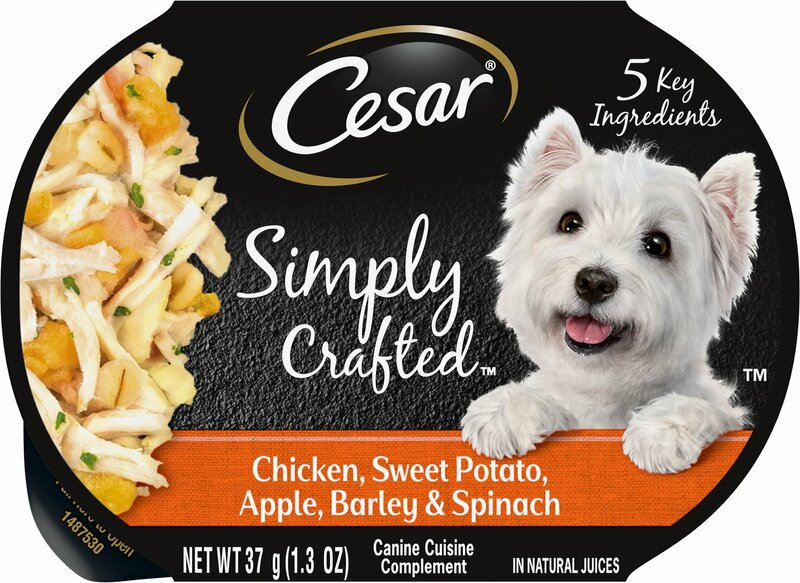 Add the delicious taste of real meat and veggies to your precious pup’s next meal with Cesar Simply Crafted Chicken, Sweet Potato, Apple, Barley & Spinach Limited-Ingredient Wet Dog Food Topper. Featuring real chicken as the first of only five simple ingredients, this wholesome topper will add paw-sitively irresistible variety to your dog’s dry kibble. Crafted with real foods and nothing else, it contains no artificial colors, flavors, fillers, or preservatives. And, it comes in convenient tubs with no-fuss, peel-away freshness seals, so it’s easy to unlock more shared moments of joy between you and your furry friend. Contains only five ingredients–real chicken in natural juices, sweet potatoes, apples, barley and spinach for a delicious taste he’ll love. Chicken, Sweet Potatoes, Apples, Water, Barley, Spinach. 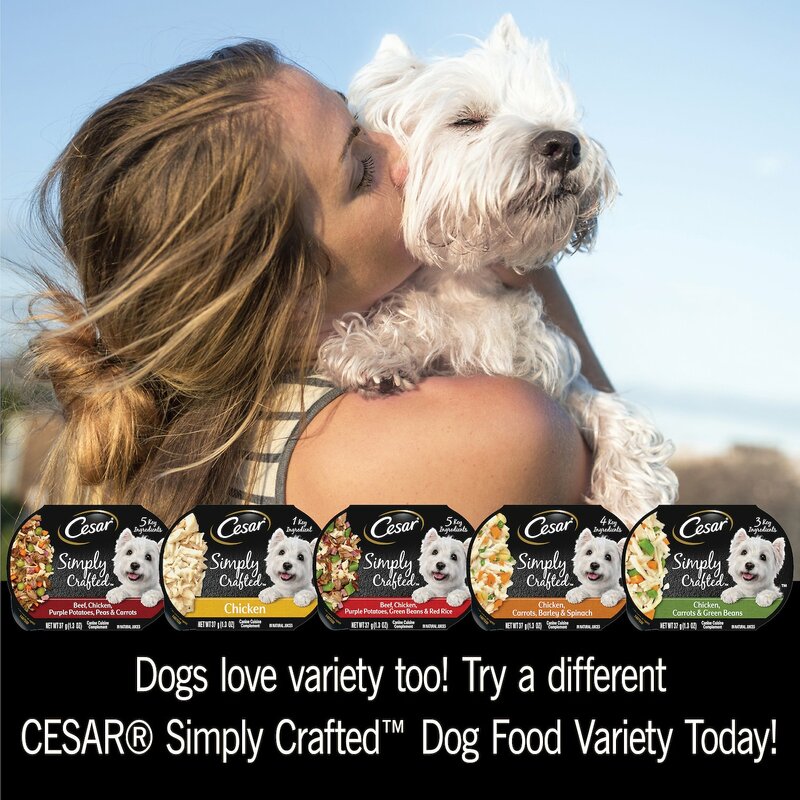 When ever I take my 4 chihuahuas to be boarded I always send Cesar Simply Crafted to be used as a topper for a special treat to make sure my little ones eat well while I'm away. It's easy for the kennel staff and the dogs love it. my picky eater does not eat this dinner as eagerly as the other choice, but these simply crafted meals have saved us with regards to his overbite and pickiness! My small dog is a beggar, always wanted people food which I refuse to give her, she thinks this is table food and loves it! My puppy loves it. I’ve literally bought all flavors (except the plain chicken) and this and the one with Salmon in it is his favorite. He only gets half of the container with his kibble for dinner and licks the bowl clean. My 100-pound lab/ pit mix LOVES this on top of his kibble. I like that you can see the ingredients, because the texture is not all mashed up. You can tell there's meat and veggies, as the label says. Although I had bought this product other places prior to Chewy's, this seemed to be dryer with more spinach in it than other samples. 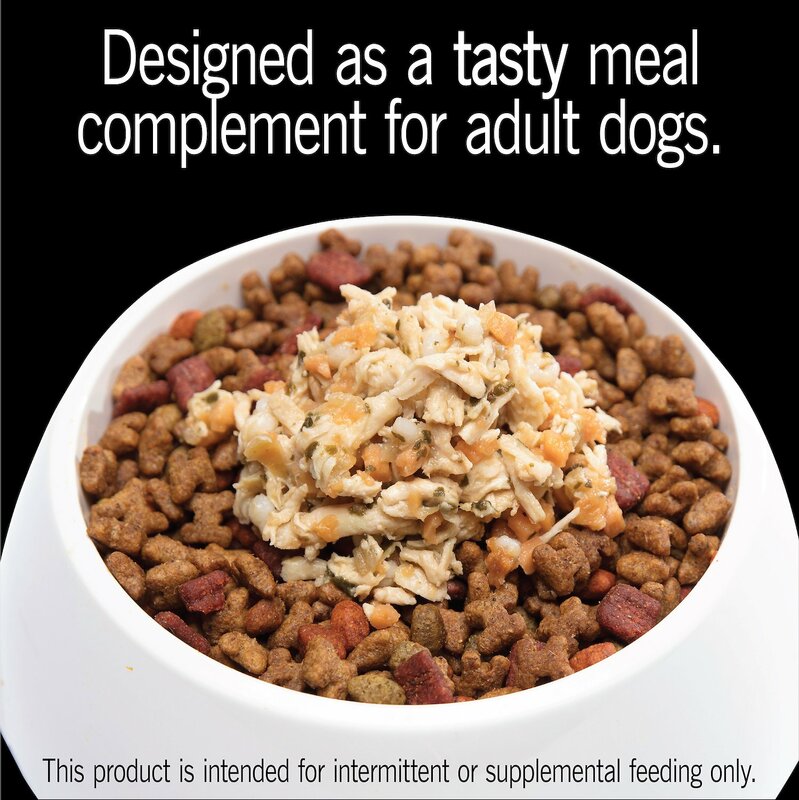 Plus my dog has been sick this last several weeks and has been off his food so he has only eaten about 3 servings. He didn't care for it, but once he is better I will try to put him back on this. Our fur babies love the Cesar Chicken, Sweet Potato, Apple, Barley & Spinach. It looks appetizing and smells delicious. They can’t wait to eat!! Food good enough for a Queen......or a Duchess!!! So I give it to my Yorkie..... named “Duchess”!!! A little stirred into her kibble makes her feel special..... and she is!!! Nothing but the best for her!!! My dogs really like it. The product was fresh and looked good. I used it on top of their regular food as a treat.